Cold Spring Harbor is a predominantly residential hamlet within the Town of Huntington. It was originally named Cold Spring by an Englishman who purchased the land from the Matinecock tribe in 1650, who knew it as “Wawapex,” meaning “place of good water.” It was once one of Long Island’s most active whaling ports, supporting a fleet of nine vessels which, alongside other port activities and milling, accounted for a major portion of the town’s economy. As whaling became a less viable trade, the town took advantage of its natural scenic beauty to become one New York’s most popular vacation destinations. The village now has a small business and shopping area on Main Street and boasts one of the most highly regarded school districts in the country. Continuing in that vein of academic excellence, the Cold Spring Harbor Whaling Museum holds 6,000 artifacts and documents from Long Island whaling towns, which it has displayed in educational events and exhibitions since its inception in 1942. Though it is technically located in the adjacent Nassau village of Laurel Hollow, a major laboratory also holds the town as its namesake; the Cold Spring Harbor Laboratory employs over 400 scientists and focuses on research involving cancer, genetics, plant life, neuroscience, and quantitative biology. Among the town’s famous residents are Nobel Prize winner James D. Watson (who co-discovered the structure of DNA and was the Chancellor of Cold Spring Harbor Laboratory), Cablevision CEO James Dolan, and Hewlett-Packard CEO, Meg Whitman. Former NBA player Wally Szcerbiak, and famed multiple-Stanley Cup champion (both as a player and coach) Al Arbour both resided in the town as well. Singer-songwriter Billy Joel, who grew up in a nearby town and would later move to Cold Spring Harbor, named his first solo album for the village. 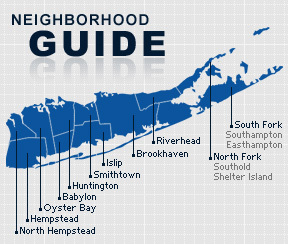 As of the 2010 census, Cold Spring Harbor had a population of 3,220 with 1,013 households and a median income of $134,821. Males made a median income of $120,761 and females an income of $58,902.